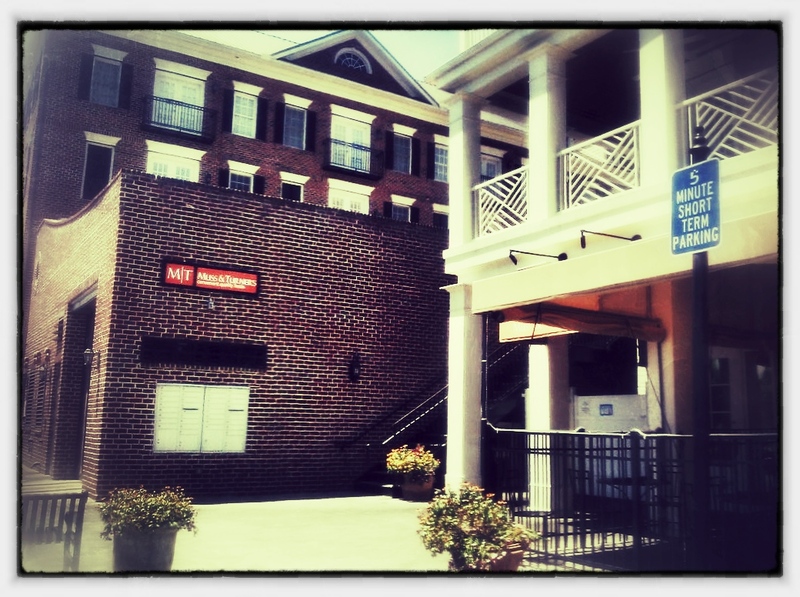 Sunday Brunch at Muss & Turner’s! So by now y’all probably know that we are brunch people. You just can’t go wrong with the mixture of breakfast and lunch sprinkled with a few good cocktails. Muss & Turner’s did not let us down. 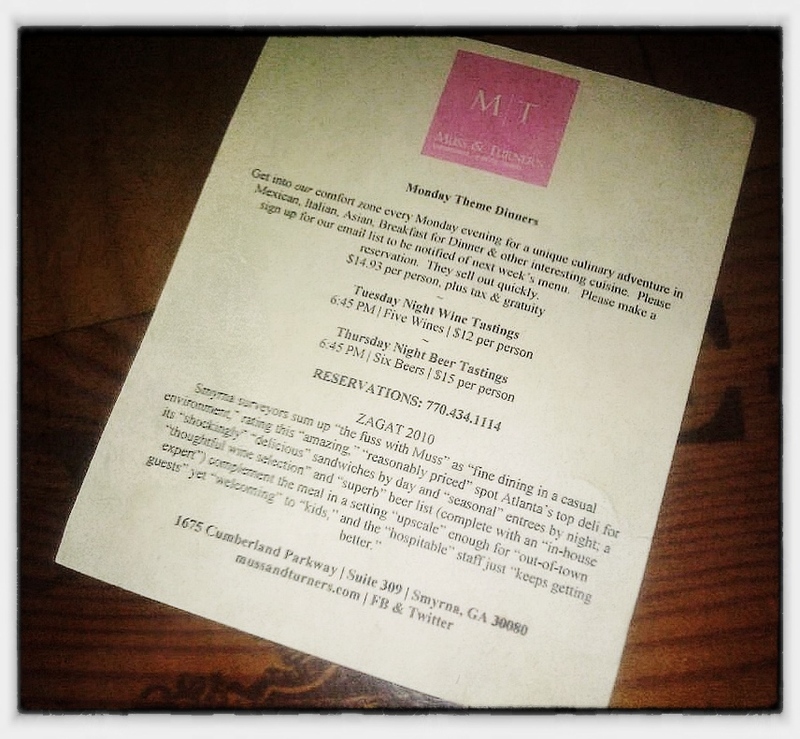 Muss & Turner’s and Local Three are sister restaurants, and as you can read from here, here and oh yeah here. I love Local Three. So after this delicious brunch, I am convinced that these folks have the Midas touch when it comes to my taste buds. We arrived about 1:15 and it wasn’t very crowded, but we had made a reservation on the way just to be safe, as we saw that the big church at the intersection of Mount Paran Drive and Northside Drive letting out. We arrived and the hostess was most friendly, and sat us right away. The smell of the place made me hungrier than I already was, it smelled like smoked bacon. YUM and I knew the food was going to be amazing. It was very difficult to choose what I wanted to eat off the brunch menu. I didn’t order a cocktail because I needed caffeine more than alcohol, so sweet iced tea for me. We had the following Entrees after careful consideration and internal debating. 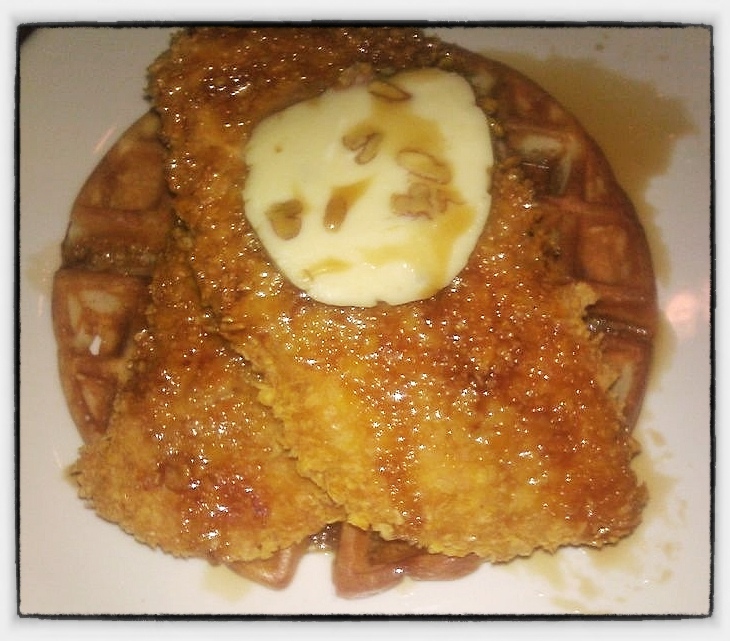 My choice was of course the Chicken n’ Waffles – bacon waffle, cornflake crusted chicken breast, bourbon maple syrup, pecan butter. This dish is heaven. 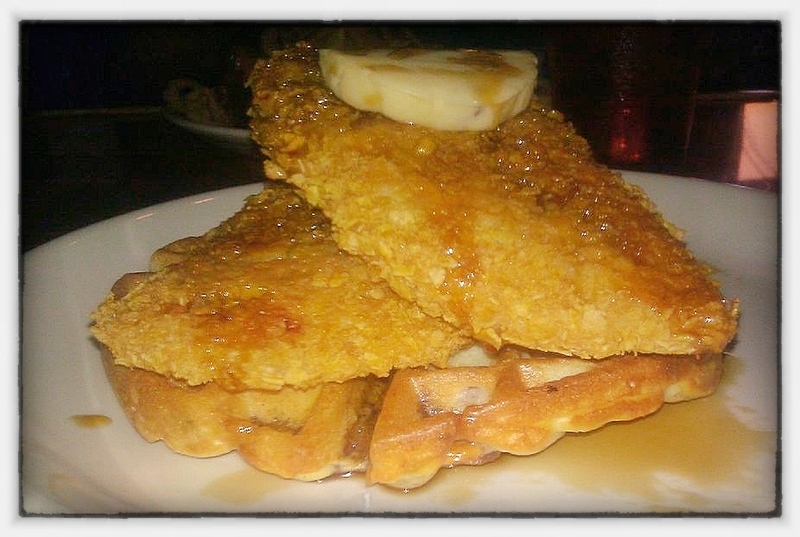 The chicken was tender and juicy cooked perfectly, the waffles were nice and light and the bourbon maple syrup was incredible. You could taste the bourbon, which was really nice against the sweet maple in the syrup and of course there aren’t words to describe the pecan butter mixed with all of these flavors. I can’t wait to go back and get this again. It is so good. 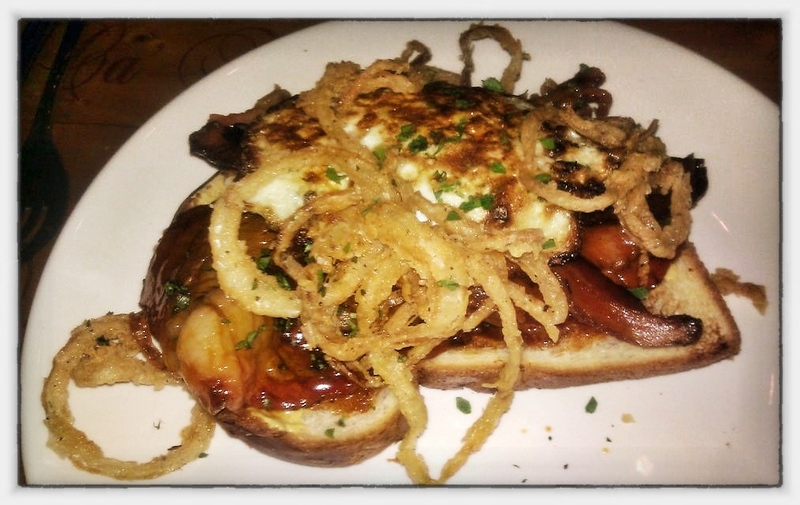 Chad ordered Buck Nasty’s Morning After BBQ brisket – Nueske’s bacon, fried egg, tabacco onions, dijon, pickles, challah toast. With a name like that it kind of has to be amazing and y’all I took a couple of bites of this dish and I have to tell you, that was some of the best brisket I’ve had. The mixture of all of these flavors was just insane… insane in a good way of course. After we had stuffed ourselves… again. We were going to get some whoopee pies to go, and the Chad noticed people going into the “secret door” and behind the secret door is a cool little speakeasy called “Eleanor’s”. We decided to wander inside and grab a beer or something just to see what it was like. What a beautiful interior. Nice wood on the walls and a very cozy feel to it. 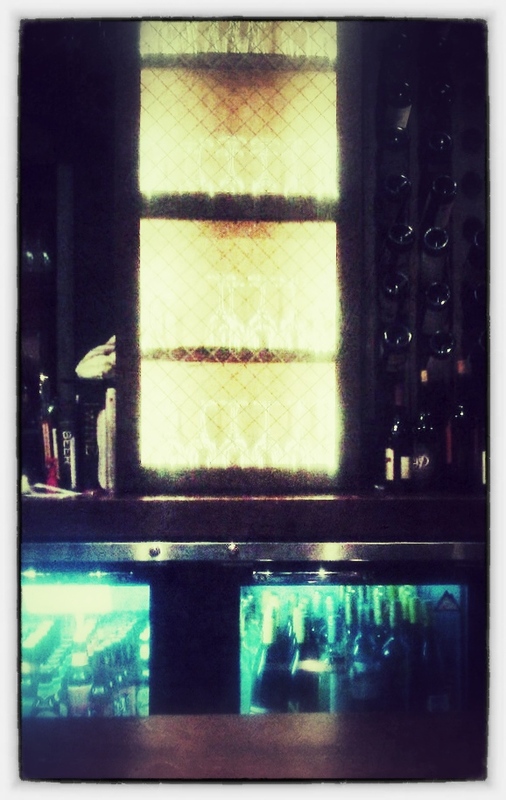 Plus they have quite an extensive beer and wine list, plus I saw some nice bourbons, ryes and whiskeys as well. 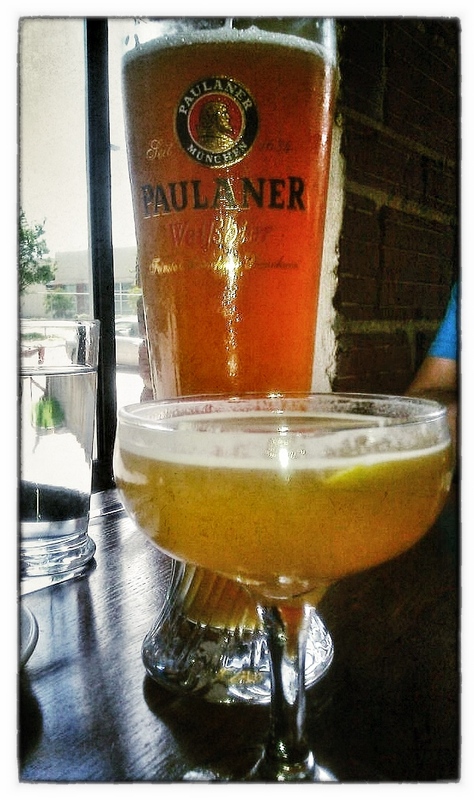 We took a gander at the beer list and we both wanted something light. So we found a Mikkellar “Drinkin in the Sun” which was like 2.5% and a Stalzburger Stiegl Radler which I had never heard of, but a radler in this case was a lager mixed with lemon soda which came out to be a whopping 2.5% as well. PERFECT. 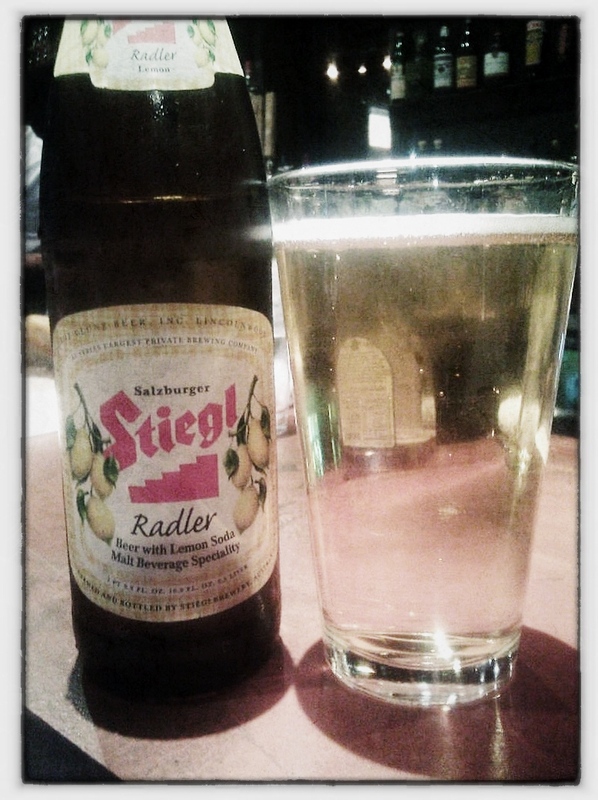 I have to say that I am officially in LOVE with Radlers. 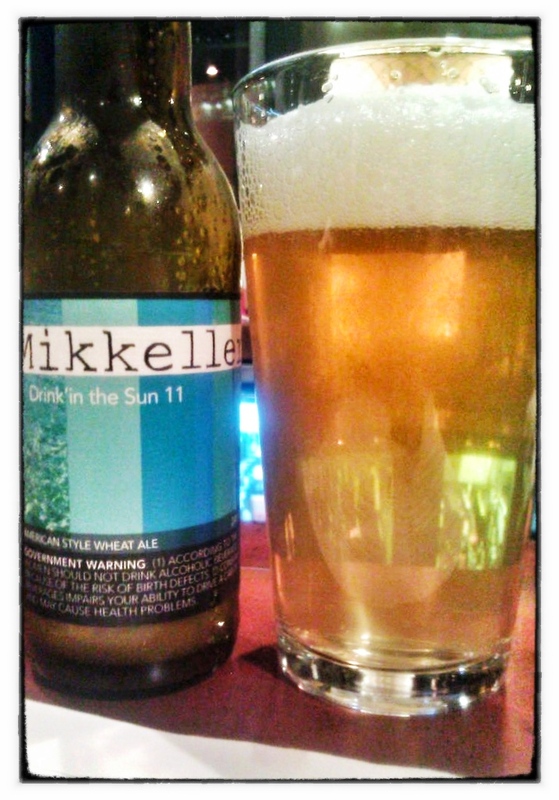 Delicious – and I’ll be making my own version at home, starting this weekend. Yeah I love thinking about weekend cocktails on MONDAY. Ugh! So all in all, my visit to Muss & Turner’s was wonderful. I don’t write about experiences that are not. This talented group of people knocked my socks off with great food, service and drinks. Thanks… we will return! 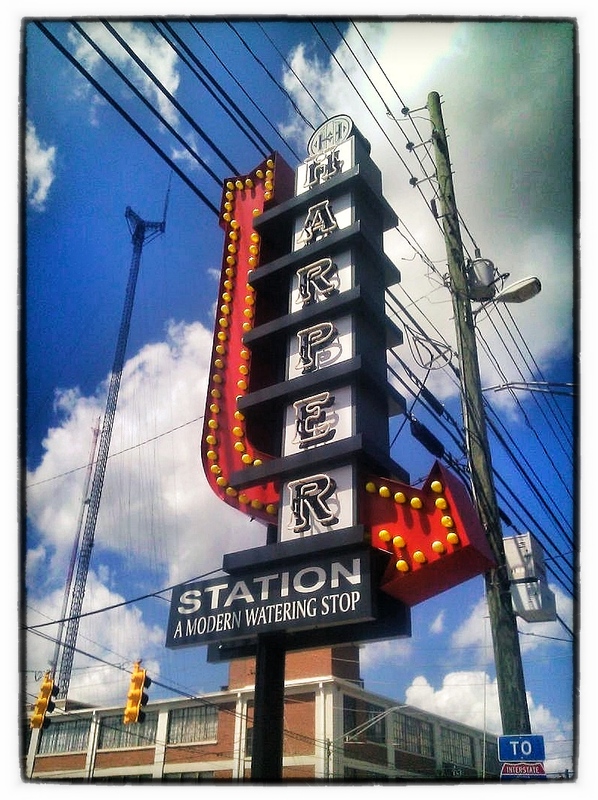 Sunday Brunch at H. Harper Station! I swear, nearly every food experience I have in Atlanta is amazing. I just love the food in this city well I love food in general, but this city just seems to do it right. I have been wanting to write this post and was shooting to get it out by last Wednesday but I ended up working until 11pm, only to venture to my car in the parking garage late at night and find a couple of love birds doing the deed in their tiny car across the lane from mine. I was surprised to say the least, but it was pretty funny. So now that my work is done for the week, I can post about this great experience. We arrived at around 12:15pm and the place was pretty empty which was kind of surprising although by the time we left it was getting packed. Chad and I were starving since we hadn’t eaten since lunch the day before, lunch at the brand new Watershed on Peachtree. 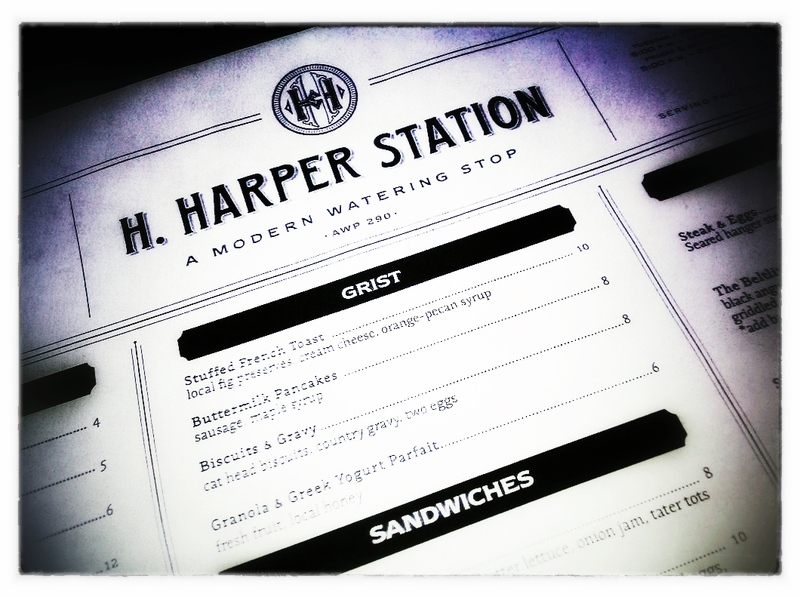 Everything on H. Harper Station’s menu looked amazing and I realized quickly that I was going to order too much and be a miserable soul for the rest of the day… which is exactly what happened. 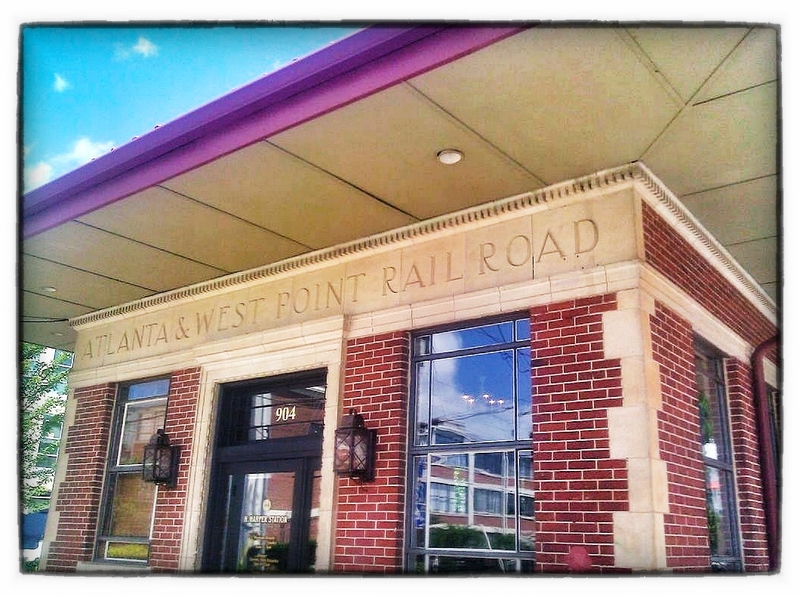 Here is a little blurb about the place that I got off of their website ( I did not write this ) Located at the historic Atlanta & West Point rail station, H. Harper Station has design flourishes from its historic past with modern interpretations of classic cocktails and southern diner staples. H. Harper Station bears the name of Jerry’s maternal grandfather, Harold Harper, a railroad engineer for more than 40 years. So Chad ordered a Paulaner Hefe Weisbier, which is a beer we both love we’ve been to Munich and had it over there and I do have to say it’s better over there. 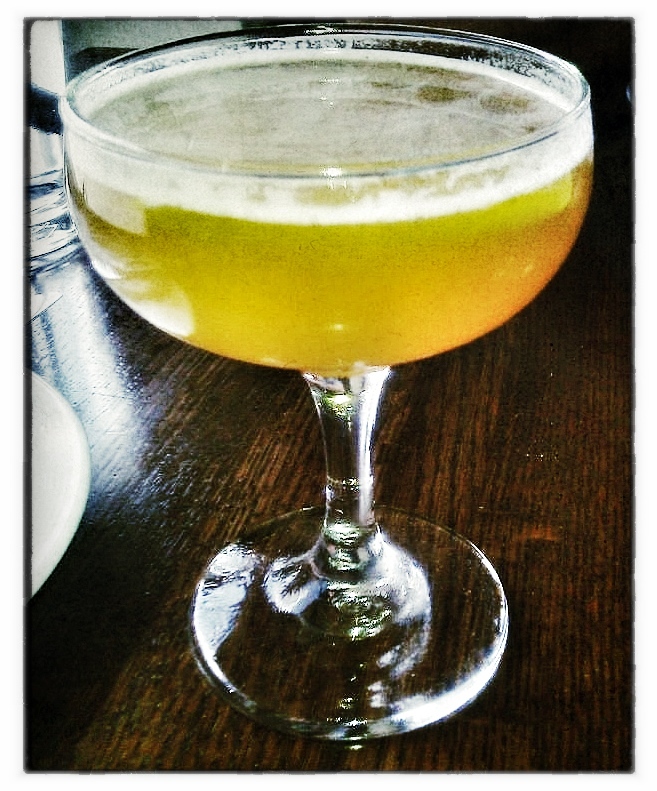 I had a delicious concoction called a Brown Derby, which is made with Bourbon, grapefruit juice and honey served up. 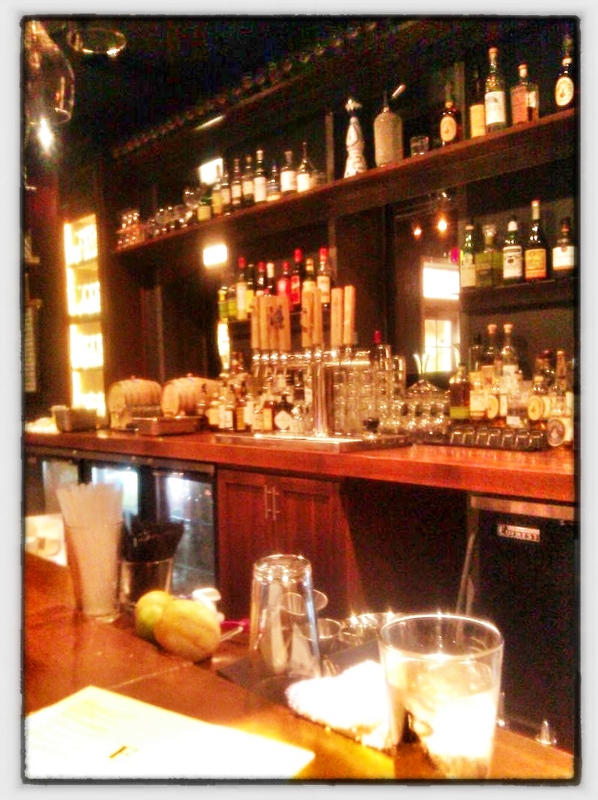 It was really good, but I do think, lunch/brunch is too early for me to start drinking Bourbon. I was a bit much for my starving stomach but I would certainly order it again in the evening. 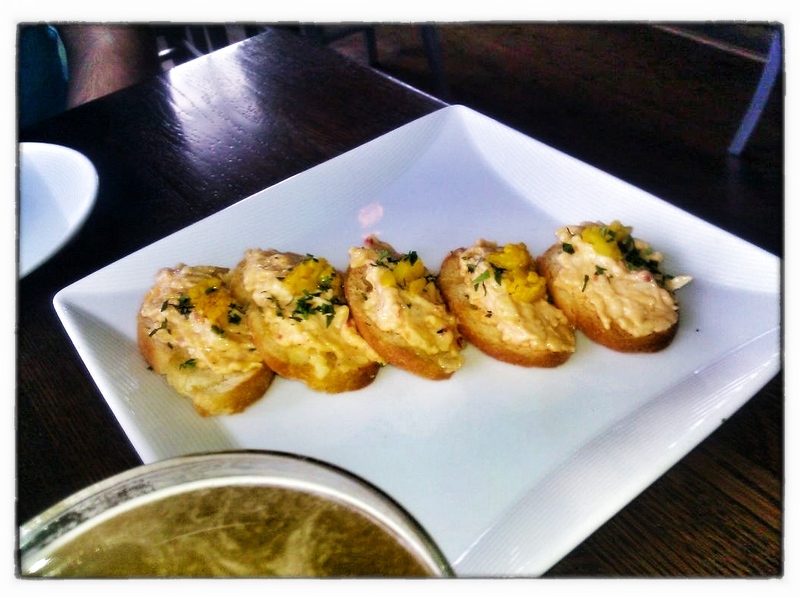 For our appetizer we got the Smoked Pimento Cheese with cauliflower pickle, crispy bread. We both loved the smoky flavor of the pimento cheese and that cauliflower pickle on top was a great accompaniment. Definitely will get this again. So delicious, so so so delicious. 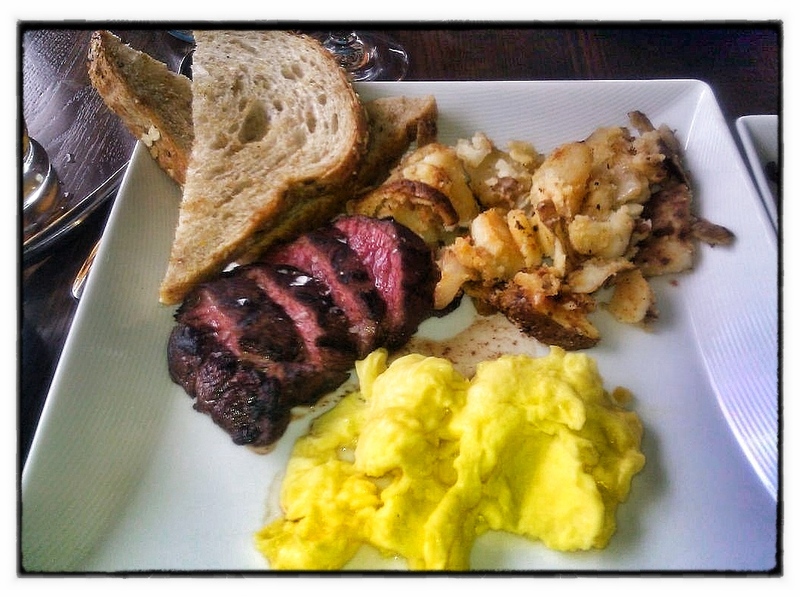 I got the Steak and Eggs – Seared hanger steak, eggs, home fries and toast. The steak was mid rare, just the way I like it. The eggs were perfectly scrambled and the home fries were excellent kind of a cross between a baked potato and home fries deliciously seasoned and wheat toast. 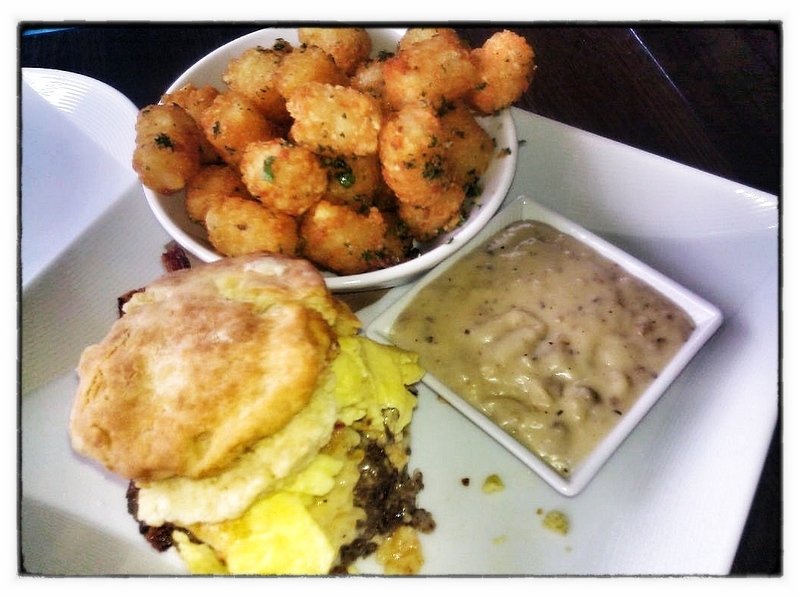 biscuit, served with home fries and added sausage gravy. Chad substituted the home fries for the Garlic- Herb Tater tots. This was a train wreck only because he couldn’t stop eating it, and I couldn’t stop looking at the pile of food on his plate. 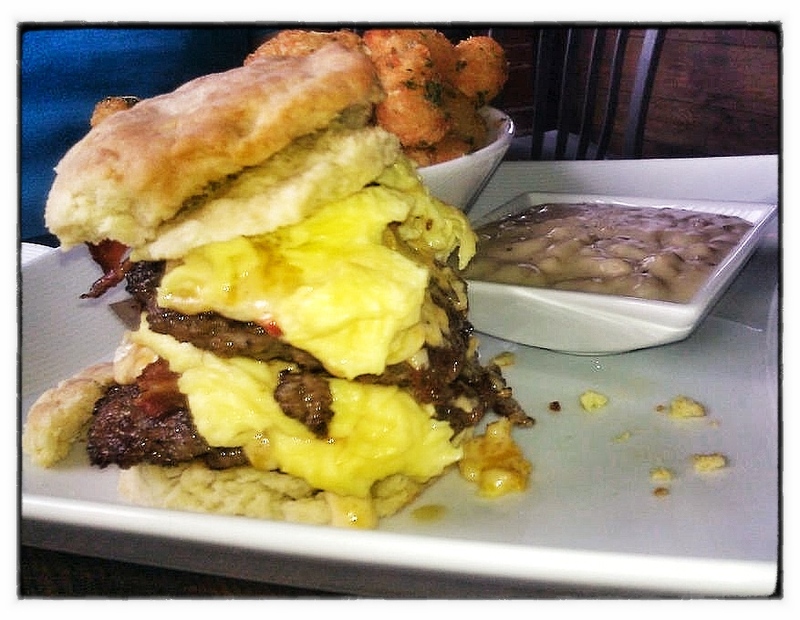 The biscuit was piled so high that he would have never have been able to open his mouth that wide so he ended up cutting it all up and pouring the sausage gravy on top and eating it like a giant breakfasty casserole. I took a couple of bites and man was it good. Devilishly good! As you can probably imagine, we were way to full for dessert. So, we grabbed our bellies and left and went over to the Wrecking Bar for a few beers, yeah not sure how we stuffed beer in our gullets, but we did! You have to go and try H. Harper Station’s brunch. I can’t wait to try it for dinner as well.